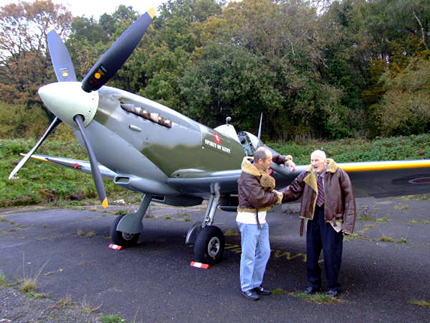 On Sunday 2nd November the Museum took part in a joint venture with the Kent Spitfire team at Biggin Hill to raise funds to help keep the ‘Spirit of Kent’ up where she belongs. Supporters enjoyed a unique opportunity to view and photograph the magnificent fighter parked up in one of the original wartime revetments on the airfield where modern day Spitfire pilot Clive Denney chatted about what it is like to fly vintage aircraft; and joining Clive was Spitfire veteran Flight Lieutenant Bill Sanders who flew with 609 Squadron at Biggin Hill in 1941 and also with 19 Squadron later in the war. 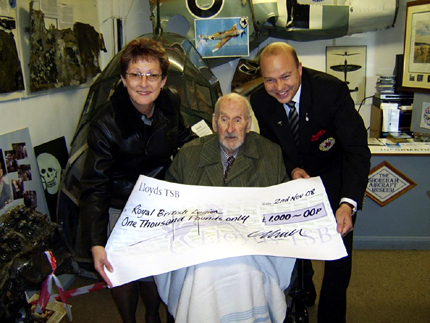 Bill was also brought to the Museum for a look around, and very kindly helped to present a cheque for the Royal British Legion amounting to £1,000 which was raised by John Ball who had trekked through France and over the Pyrenees following an old escape route taken by shot down Allied airmen during the war. It is hoped that this enjoyable Kent Spitfire event can be repeated in the near future. 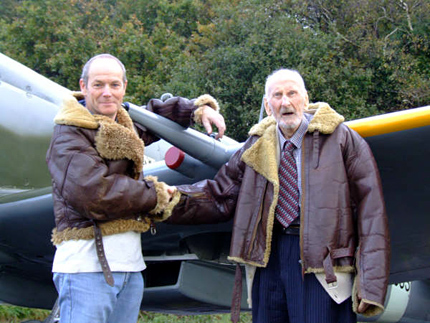 You are currently browsing the Shoreham Aircraft Museum – News archives for November, 2008.